The book is based primarily on the source material available in the Pali Canon, studied historically and philosophically inn the light of the contemporary, earlier and later literary evidence related to the subject. The antiquity and authenticity of the material is vouchsafed by the literary, linguistic, ideological, sociological, and historical evidence existing into Pali Canon itself. The book traces the origin of the theory of knowledge and its development in early Buddhism-the Hinayana Buddhism of Pali Canon. The book is divided into nine chapters. Chs. 1-3 conduct a survey of the historical background of the Buddhist theory of knowledge-with special reference to Pali Canon. Chs. 4-5 explain the Buddhist attitude to Authority and Reason. Ch. 6-7 deal with Analysis and meaning as well as Logic and Truth respectively. Ch. 8 discusses the role of Authority and Reason in Buddhism and shows that Buddha is neither a traditionalist nor a rationalist in the strictly philosophical sense. Ch. 9 deals with the means and limits of knowledge and propounds a number of theories: the theory of causation, perception, inference, empiricism, so on and so forth. The book is documented with a Preface, List of Abbreviations, an Appendix, Chronological Table of Schools, Bibliography and Index. This work attracted the attention of European scholars as the name of Oldenberg is a sufficient guarantee of the value of its contexts. The distinguished author has in this work demolished the skeptical theory of a solar Buddha put forward by M. Senart. He has sifted the legendary elements of Buddhist tradition and has given the reliable residuum of facts concerning Buddha, shown that the cardinal tenets of the pessimism which he preached are “the truth of suffering and the truth of the deliverance from suffering.” He has expounded the ontology of Buddhism and placed the Nirvana in a true light. To do this he has gone to the roots of Buddhism in pre-Buddhist Brahmanism and has given to Indologists the original authorities for his views of Buddhist doctrines in Excursus at the end of the work. The present work forms an important contribution to the solution of a number of problems more in particular pertaining to the earliest developments of Indian philosophy. In 1925 P. Tuxen observed that in any future exposition of the history of this philosophy two factors should predominate: I. the relation of early Buddhism to Indian thought; 2. the correlation of the latter to the Indian science of grammar. In 1927 the famous Russian Buddhologist Stcherbatsky made the significant statement that even after dark about the fundamental teachings of this religion and its philosophy. At the current state of inquiry-thanks to the assiduous and penetrating efforts of many scholars in West and East-a good deal of this ‘darkness’ has been dispelled. Yet, there are still various gaps in our knowledge to be filled. For one thing, even though we are at present fairly well acquainted with the later developments of systematic Indian philosophy, there is still much uncertainty about the actual origin and incipient formative stages, i.e. the ‘pre’history’ of its logical and epistemological and, to a less extent, of its linguistic aspects. For another, even to-day too many misconceptions about the exclusively mystic and recondite nature of this philosophy continue to prevail, especially non-professional circles. For the sphere of thought indicated by the collective name of ‘Indian Philosophy’ is extremely complex. Indeed, in terms of the history of ideas, its chief attraction must be sought, not only in its spiritual and cultural unity or in the perennial truths of its monistic-idealistic metaphysics, but rather in its rich diversity. For this is indicative of its long development including an ever deepening confrontation with fundamental philosophical problems. This complexity has led to highly divergent value judgments on the part of Western philosophers as well as professional scholars, mostly of an earlier generation. They included those who regarded the very term ‘Indian philosophy’ as a ‘contradictio in adjecto’ and its teachings as vaguely indefinite displays of dreamy thoughts, lacking in clear-cut concepts and proper definitions. However, other scholars were convinced that it had reached a very high standard of development. Stcherbatsky (e.g.) stated that, in addition to its systems of empirical idealism and spiritual monism, it had produced an intricate logic and a remarkable epistemology and that the principal lines of its development showed parallels with those of Western philosophy, including rationalism and empiricism. Even thought valid objections may be adduced to the theory of ‘parallel development’, there are at present few doubts about the ‘high standard’. Among other things, it is a fact that the consistent investigation of logical fallacies and contradictions, on the basis of exact canons of reason, form an essential part of nearly all the systems, orthodox and heterodox. And, in the words of Faddegon, already in early Vaisesika we find a purely theoretical attitude of mind and not ‘that craze for liberation’ which dominates nearly all forms of Indian thought…Rather, it is the theoretical desire for a correct classification and system of definition. The variety of opinion, mentioned above, is to a large extent induced by the problems of India, i.e. Sanskrit, Pali and Prakrit, philosophical language which-as shown in a number of recent publications-is itself correlated to the terminology and categories of the highly developed Indian science of grammar. Especially, the correct interpretation of the intricate technical terminology presents many difficulties. In many cases, the same terms have different connotations, or altogether different meanings, within different contexts and, historically, at the successive periods of their application. Indeed, already in ancient India, both the grammarians and the philosophers were concerned with the problems of meaning and important works were written on this subject. Long before this happened in the West, ‘semantics’ became a fundamental part of the Indian philosophical discipline. Thus, in addition to a careful historical consideration of the semantic theories, only a meticulous textual analysis, on an extensive comparative basis, can produce valid interpretations of Indian philosophical ideas in European languages which are both comprehensible and ‘intrinsic’. Moreover, to give adequate meaningful renderings of the difficult texts, even a thorough grounding I modern philosophical analysis is nowadays an indispensable prerequisite. A further problem which has engaged the attention of scholars is the exact position which early Buddhism occupied in the development of Indian thought, the more so as it was regarded by some of them as a ‘foreign body’ in Indian philosophy. Moreover, they were of the opinion that the purely philosophical quality of the Pali canon was surprisingly deficient. Again, Stcherbatsky stated that the Pali-school of Buddhologists entirely overlooked the system of philosophy which is present on every page of the Pali canon. In his opinion, Buddhist authors played a leading part in the development of Indian epistemology. This is certainly established for the later school of Dignaga and Dharmakirti and their followers. Sstcherbatsky’s views are largely confirmed by the present work which is primarily concerned with the earlier period. Dr. Jayatilleke, who had the privilege of being admitted to Wittgenstein’s classes, is that rare combination of accomplished philologist, historian and methodic philosopher. His book goes far beyond the indication of its title. On the basis of a profound analysis of the relevant earlier and later texts as well as a critical re-examination of the works of his predecessors in the field, he traces with great ingenuity and scholarly thoroughness the epistemological foundations of Pali canonical thought, from the Vedic period onwards. His fully connected account sheds new light, not only on the problems of the earlier period which have engaged the attention of scholars during the past forty years, but also on those of the later developments. Moreover, with regard to the present day conflict of metaphysics versus logical and linguistic analysis, the book contains valuable material which elucidates from the Indian point of view some of the basis problems of this conflict. The origins of the Indian empiricist tradition and its development in Early Buddhism are largely unknown to Western scholarship, despite the fact that T.W. Rhys Davids at a very early date compared Buddhism with Comtism and Radhakrishnan went so far as to say that ‘Early Buddhism was positivist in its outlook and confined its attention to what we perceive’. However, modern Western thinkers, who have dipped into the literature of Buddhism, have sometimes been struck by its analytical and positivist turns of thought. H.H. Price, who was the Wykeham Professor of Logic at the University of Oxford, remarked that ‘there are indeed some passages in the early part of the Questions of King Milinda which have a very modern ring, and might almost have been written in Cambridge in the 1920’s’. Aldous Huxley (i.e. of Brahman of the Upanishads) was neither affirmed nor denied, but simply ignored as being meaningless and unnecessary. Their concern was with immediate experience, which, because of its consequences for life, came to be known as “liberation” or “enlightenment”. The Buddha and his disciples of the southern school seemed to have applied to the problems of religion that “operational philosophy” which contemporary scientific thinkers have begun to apply in the natural sciences…Buddha was not a consistent operationalist; for he seems to have taken for granted, to have accepted as something given and self-evident, a variant of the locally current theory of metempsychosis. Where mysticism was concerned, however, his operation-alism was complete. He would not make assertions about the nature of ultimate reality because it did not seem to him that the corresponding set of mystical operations would admit of a theological interpretation’. 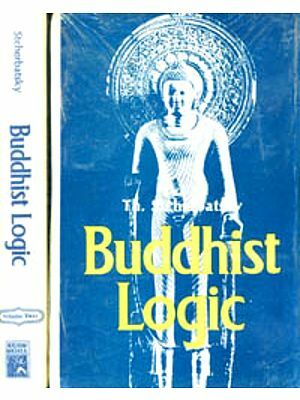 Huxley’s qualification that ‘the Buddha was not a consistent operation-alist’ may not have been made had he been aware of the epistemological basis and the nature of the Buddha’s positivism and had he not been misled by scholars to think that the Buddha had dogmatically accepted the doctrine of rebirth from the prevalent tradition (v. Ch. VIII). Our findings about the Early Buddhist theory of knowledge are based primarily on the source material afforded by the Pali Canon, studied historically and philosophically in the light of the contemporary, earlier and later literary evidence bearing on the subject. The literary, linguistic, ideological, sociological and historical evidence still points to the high antiquity and authenticity of the Pali Canon, although what we learn from it about Early Buddhism may have to be supplemented and, perhaps, even modified at times in the light of what we can glean from the other literary traditions of Buddhism. We may refer here to the recent opinion of a student of religion, Dr. Robert H. Thouless, who says that ‘it seems more likely that Hinayana was Buddhism as originally taught and the Mahayana was a product of development and conventionalization’. The present work seeks to evaluate the thought of the Pali Canon from a new point of view and in the light of new material. In it an attempt is made to uncover the epistemological foundations of Pali Canonical thought. One of the main problems of epistemology is that of the means whereby our knowledge is derived. In this work the questions pertaining to the means of knowledge known to, criticized in and accepted by the Buddhism of the Pali Canon are fully discussed. A comprehensive survey of the historical background (Chs. I, II and III) was indispensable for this purpose partly because this throws considerable light on the Buddhist theory of knowledge and also because part of the material for the study of this background is to be found in the Canon itself. Apart from the inquiry into the means of knowledge, a number of questions relating to the problem of knowledge have been dealt with. Thus we have endeavoured to show the kind of logic adopted by the Buddhists in contradistinction to that of the Jains (Ch. VII). While Wittgenstein’s imaginary tribes played hypothetical language games showing the various possibilities in the use of language, we find here actual instances in which different systems of logic were employed in order to cope with certain conceptual situations. We have also investigated the role of analysis, the theories of meaning and truth and the problem of the limits of knowledge, as they appear in the Canon. The student of Indian philosophy should find here material pertaining to the ‘prehistory’ of systematic Indian logic and epistemology and the origins of the Indian empiricist tradition. A student of Greek thought may be able to see in these pages some parallel developments to his own field, as well as the differences. Of particular interest to the student of Western philosophy would be Chapters VI and VII dealing with ‘Analysis and Meaning’ and ‘Logic and Truth’ respectively, the anticipation of two theorems of the propositional calculus (Ch. VIII, sections 702-710), the theory of causation (Ch. IX, sections 758-782), the empiricism of the Materialists (Ch. II) and the Buddhists (Ch. IX). I would express my gratitude to Dr. D.L. Friedman for patiently reading through this thesis and offering many valuable comments, criticisms and suggestions. I am also grateful to him for introducing me to literature pertaining to this subject which I had failed to consult at the time of writing my first draft. My thanks are also due to Professor A.L. Basham, who evinced an interest in this work and very kindly read through the whole of Chapter III. I must also place on record my indebtedness to Professor O.H. de A Wijesekera of the University of Ceylon, from whom I learnt the first lessons in research, and who encouraged me to work on this subject. I am grateful to Mr. D.J. Kalupahana, my pupil and colleague who was kind enough to undertake the task of preparing the index and to my wife and other colleagues and friends for assisting me with the proof-reading and advice. I must also thank the University of Ceylon, which with the generous assistance of the Asia Foundation defrayed a small portion of the cost of this publication. Subsections (Numbers here denote paragraphs and not pages). Introductory observations (I-5). The germs of skepticism regarding the possibility of knowledge (6-10). The quest for simplicity (II) and order (12). Scriptural authority as a source of knowledge (13). The role of analogy in reasoning (14). The place of doubt in the Brahmanas (15). The importance of knowledge (16-17). And the growth of speculation (18-20). Reason in the construction of metaphysical theories (21-44). The origin and development of the institution of the debate; the study of rhetoric and the elements of reasoning (45-66). The means of knowledge recognized in the Early Upanisads-scriptural authority, perception and reason (67-72). Mystical intuition as a new way of knowing in the Middle and Late Upanisads (73-76). The interest in one of the main problems of epistemology at the close of the Vedic period (77). The chronological and historical relationship between the Upanisads and Buddhism (78-81). Subsections. The rational origins of Materialist thought (82-87). The three main types of Materialist schools according to their epistemological doctrines (88-89). The early existence of the school or schools in which perception only (90-91) or perception and verifiable inference were the means of knowledge recognized (92-94.) The nihilist school which denied the validity of all means of knowledge may have had its origin as an early (pre-Buddhistic) rival branch of the realist school or schools (95-118).. No evidence from the Nikayas for the existence of Arthasastra Lokayata (Machiavellian Materialism) (119). The Materialist criticism of the argument from authority (120-121). The kind of reasoning employed by the Materialist (122-129). The empiricist criticism of metaphysical concepts (130-133). The use of the modus tollendo tollens (134-135). Experiments devised to test an hypothesis (136-139). The Materialist critique of claim to intuitive knowledge on the part of the Mystics (140-142). Subsections. Relation to earlier traces of skepticism (143-144). The conflict of theories the main motive for the birth of skepticism (145-152).. The rational (153-154) and the moral grounds (155-156). Of skepticism. Was the logic of four alternatives (the four-fold schema) an innovation of the Sceptics (157)? The first three schools of Sceptics mentioned in the Pali Nikayas (158-170). The similarity with Pyrrhonean skepticism (171-174). The fourth school of Sceptics (175-181). Two theories as to the origin of the four-fold schema (182-190). The relation of skepticism to the relativism (syadvada) of the Jains (191-194). The rational origins of the main concepts of the Ajivikas (195-200). Their use of reason (201-208). Their use of reason (209-212). Their claims to mystical intuition (213-215) and belief in tradition (216). The three-fold schema and the three standpoints of the Trairasika Ajivikas (217-230). The main elements of the Jain theory of knowledge (231-243). Subsections. The pre-Buddhistic thinkers classifiable mainly as traditionalists, rationalists and ‘experientialists’ on epistemological grounds (244-247). The Buddha identifies himself with the last group (248-250). The various forms of argument from authority (251-260). The criticism of anussava (revelation, tradition, report) as a valid means of knowledge (261-283). The Buddhist and the Materialist criticisms of the Vedic tradition compared and contrasted (284-288). The Buddhist criticisms in the light of the later claims made in regard to the validity of the Vedic tradition (289-293). The criticism of parampara (claims based on the continuity of a tradition) (294-296), of hearsay (itikira) and non-revealed tradition (297-303). The criticism of the principle of ‘conformity with scripture’ (pitakasampada) as a criterion of knowledge (303-305). The criticism of testimony (306-307). The reason for the rejection of authority (308). The general condemnation of authority (309-311). 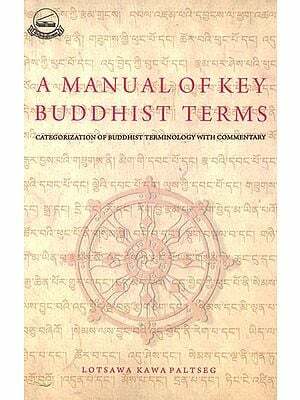 Authority within Buddhism (312). Subsections. Who were the takki (sophists, casuists, debaters, reasoners?) and what was takka? (313-319). The counterpart of the Greek sceptic-sophist not found in India (320-326). Was Dighanakha a logical sceptic or a nihilist Materialist? (327-336). The evidence for the existence of vitandavadins or casuists (337-348). The earliest dilemmas and the study of rhetoric on the part of the intelligentsia (349-359). The debate in Early Buddhist times and the reasoning used in it (360-377). The debated theories, the schools to which they belonged and the types of arguments used in the construction, defence or criticism of them (378-415). Reason in the construction of metaphysical theories; four types of ‘reasoners’ and the meaning of takkika (quibblers or reasoners?) (416-418). Takki as rational metaphysicians; their theories (419-435). The critique of reason; its inadequacy for knowledge (436-442). Subsections. The role of analysis in the Pali Canon (443). The critical and analytical outlook (444-451). The analysis of questions into four types (452-458). The categorical question (459-461). The question to be answered after analysis (462-465) or with a counter-question (466-468). The question which was to be set aside; the meaningless question and its modern parallels (469-481). Other senses of analysis (482). The nature of definition (483-496) and classification (497-500). The problem of universals (501-502). The delimitation of terms and the socalled ‘applied logic of conversion’ (503-515). The four kinds of analysis (catupatisambhida) (516-519). The origins of Indian linguistic philosophy (520-522). The importance of linguistic convention and the linguistic origin of metaphysics (527-535). The concept of the ‘meaningless statement’ (536-559). Subsections. The questions discussed (560). The theory that the four-fold logic violates the law of Contradiction or represents laws of thought (561-563). The four alternatives in the light of Aristotelian logic (564). Recent theories suggested to explain this logic unsatisfactory or inadequate (565-570). The four alternatives and what they mean (571-583). The necessity to distinguish four-cornered negation from four-cornered rejection (584-585). The difference between Jain syadvada (the seven forms of predication) and the Buddhist catuskoti (the logic of four alternatives) (586-591). Robinson’s theory not acceptable (592). The analysis of statements according to truth-value, utility, pleasantness and unpleasantness (593-595). Truth as correspondence with fact (596). Coherence as the criterion of truth and the senses of consistency (597-598). Is there a conception of ‘partial truth’? (599-601). Truth and utility; the pragmatic criterion (602-605). Truth and verification (606). The conception of the ‘middle’ view as true (607-609). The two kinds of discourse and the theory of double truth (610-621). Subsections. The nature of the questions discussed (622-624). That the Buddha-uncritically accepts certain dogmas from the prevalent tradition is the view of many scholars (625-626). That such dogmas are not part of Buddhism is another view (627). Both views are unsupported by the historical and textual evidence (629-639). The authority of omniscience not claimed for the statements of the Buddha until the very latest stratum of the Pali Canon (640-649). Buddhism not a revelation (650). The nature and role of belief or faith (saddha) and its relation to knowledge; provisional belief for the purposes of verification not incompatible with rejection of authority (651-673). Another conception of faith (674-678). The nature and role of reason in the Pali Canon (679). Buddhism not a rationalism in the sense of being an a priori system of metaphysics (680-685). Reason has definite but limited function (686-687). Reason in the criticism of other doctrines and the use of the modus tollendo tollens (688-701). The anticipation of two theorems of the propositional calculus-the rules of Implication and Contraposition (702-710). Refutation (niggaha) in the Kathavatthu (711). Subsections. The emphasis on direct personal knowledge (712-721). The similarity and difference between the way of knowing of the Middle and Late Upanisads and of Buddhism (722-725). The causes and conditions for the emergence of extra-sensory perception or of knowledge in general (726-732). Extra-sensory perception only a means to an end (733-734). The possibility of error (735). Personal knowledge not subjective (736). The Materialist and Buddhist emphasis on perception (737). The objectivity of knowledge and the necessity for eliminating subjective bias (738-740). The recognition of perception, normal and paranormal (741-743). The theory of perception (normal) (744-749). The nature of paranormal perception (750-756). Inductive inference (757-759). The theory of causation (760-782). Inductive inferences based on empirical evidence and causal theory (783-784). Verification (785). The notion of extra-sensory perception does not belong to the mythical or miraculous element (786). Inductive inferences, valid and erroneous, based on the data of paranormal perception (787-791). The Empiricism of Buddhism (792-796). The importance of verification (797). The conception of ‘intellectual release’ without complete verification (798-799). The limits of empiricism and knowledge (800-817).